The northern Italian port of Genoa has strong English connections. The city of Christopher Columbus, gateway to the Americas (Genoese emigrants were among the founders of Argentina’s Boca Juniors), also flies the flag of St George. Genoa Cricket & Athletic Club was set up by a group of ten expatriates in 1893 to represent England abroad, and is now the oldest active football club in Italy. Its patron was diplomat Sir Charles Payton and its first president Charles De Grave Sells. James Richardson Spensley, a doctor from Stoke Newington, London, helped to establish football as the club’s most prominent sport; this was recognised in 1899, when Football replaced Athletic in the club’s name. 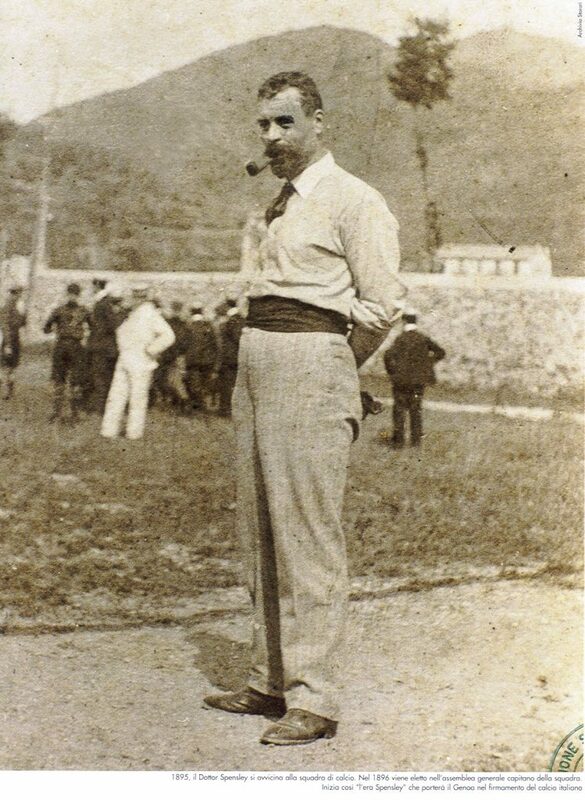 As player and manager, Richardson Spensley oversaw six league titles for Genoa and, like AC Milan’s Herbert Kilpin, is revered in Italy as one of the founders of the modern game. He died of wounds sustained on the battlefield in Germany during the First World War. Genoa were one of the country’s most successful clubs in the early decades of the Italian league, winning the title nine times between 1898 and 1924, when they became the first team to wear the championship shield (the scudetto). They adopted the red and navy halved shirts which they wear to this day in 1901; the club’s badge retains an English flag . However the club’s early success was interrupted when foreign players were prohibited in 1908, as they had continued to feature English players since their inception. 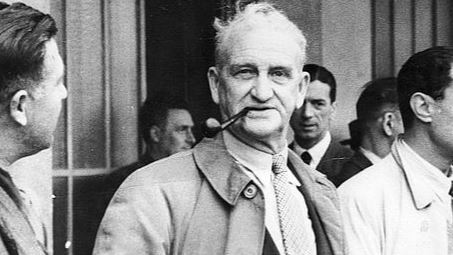 The connection with the club’s origins was maintained when another Englishman, William Garbutt, was appointed manager in 1912. Staying until 1927, Garbutt led Genoa to three Italian championships, their last titles to date, revolutionising tactics, training and transfers. His impact was such that Vittorio Pozzo, Italy’s World Cup-winning coach of the 1930s, described him as “the most important man in the history of Italian football.” Garbutt went on to manage AS Roma and Napoli, before moving to Spain, where he led Athletic Bilbao to the 1935-36 La Liga title. He returned to Italy with AC Milan and Genoa once more before the Second World War. Exiled by Mussolini for the duration of the War, Garbutt returned for a third and final spell managing Genoa between 1946 and 1948. Despite these strong connections, no British player has represented Genoa in the post-War period. Their city rivals Sampdoria, founded in 1946, however not only employed an English manager, Bill Dodgin Sr, in the 1957-58 season, but signed a number of high-profile English league players during the 80s and 90s. Britain’s first million-pound player, Trevor Francis, was bought from Manchester City, joining Irishman Liam Brady (then of Juventus) in 1982 as part of their first batch of expensive imports. 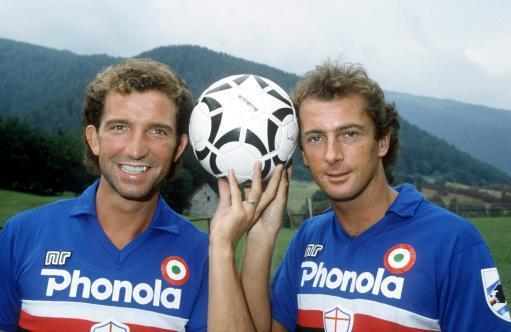 Two years later Graeme Souness was signed from Liverpool, with he and Francis helping Sampdoria to win their first-ever Coppa Italia in 1985. Under future England manager Sven-Göran Eriksson, David Platt and Des Walker both played for the club in the early 1990s, as did former QPR striker Danny Dichio in the 1997-98 season, followed by ex-Manchester United and Leeds winger Lee Sharpe the next year. Chris Lee’s article in The Gentleman Ultra is an excellent in-depth look at James Richardson Spensley and Genoa’s founding.